Spring is here! Catch these limited openings before they're gone! 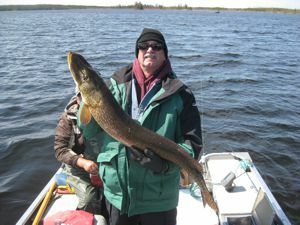 May 23-28 - 5 day trip - Ice out Special! 20% Discount! May 28-1 - Cancellation! 2 spots left! Find a date you like? Call 1-800-521-1347! We have a new mobile website for Silsby Lake Lodge being developed that will be live in a month! Thinking about a fishing trip in 2017? 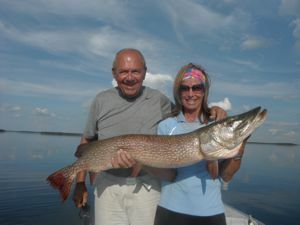 Check out these dates - http://www.silsbylakelodge.com/trip-dates-and-rates - and call today on Limited Openings! 1-800-521-1347. May 24-29 - Ice Out Special! May 29-2 - 2 cabins left! June 2-6 - Cancellation Opening! June 6-11 - 1 cabin left! June 11-15 - 1 cabin left! June 15-19 - Cancellation Opening! July 3-7 - 4th of July Special - 20% Discount! June 29-3 - Cancellation Opening! July 3-7 - Cancellation Opening! 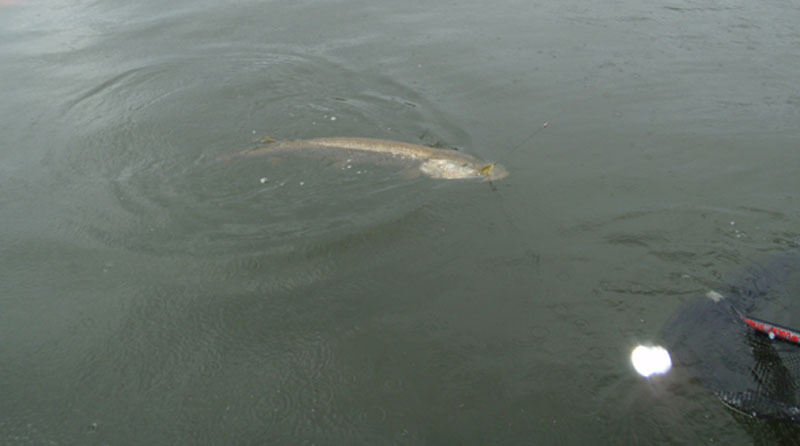 After a record late ice out, the 2014 season was a great success. 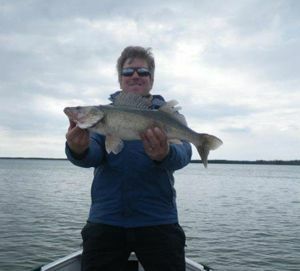 Hundreds of trophy Northern were caught and released and the Walleye fishing was the best we have seen in four years. There are some exciting new changes coming to Silsby and the outpost camps in 2015...High Hill Outpost will be getting new boats and motors, Cuddle had a major renovation done to the cabins this past fall, and Silsby will see even more improvements for next year. 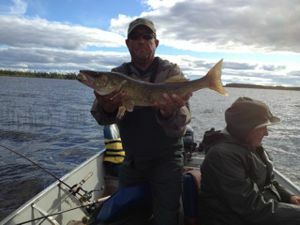 “Hi Sam...My Dad, nephew, daughter and I flew into Silsby Lake in July and fished at High Hill. My daughter Brooke, age 11, can not quit talking about her experience and the trip was one that we will all cherish forever. The one picture of Brooke (left) was a walleye she caught while trolling with a five of diamonds. Although we did not get a true measurement of the fish (spent too much time taking pictures), I am guessing it was close to 30". The funny part was she released one about 2-3 inches shorter than that one about ten minutes earlier. I have never been happier to be outfished by a an 11 year old girl! I feel you went out of your way to make our trip a very pleasurable experience. The boats, cabin, and employees were all top notch. June 18-22 - 4 day trip - Cancellation! Call today and reserve your date! July 10-15 - 5 day trip - 1 cabin left! July 20-24 - 4 day trip - 1 cabin left! August 2-7 - 5 day trip - 2 cabins left! August 24-29 - 5 day trip - Cancellation! Call today to reserve your date!! Happy Holidays from everyone at Silsby Lake Lodge!! 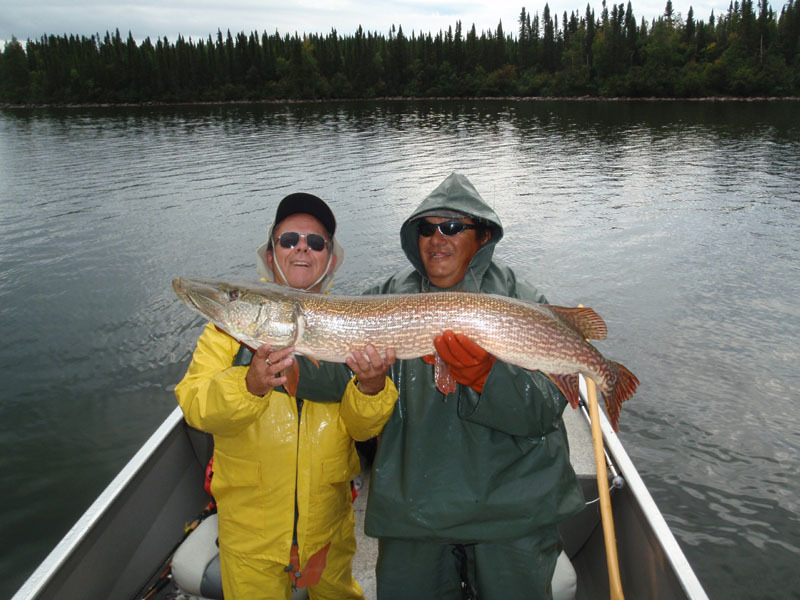 Amazing photos and great testimonials are still flowing in from the 2013 season at Silsby Lake Lodge and outpost camps. 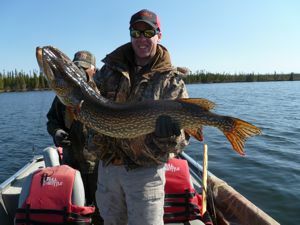 Nick Childress holds his monster Master Angler Northern Pike from Silsby Lake during the 2nd week of August. 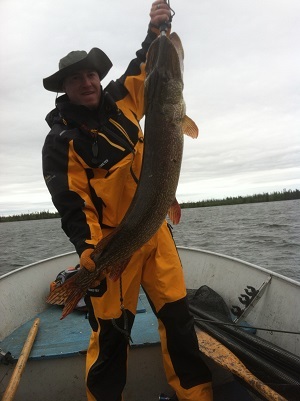 Bob Mayfield with one of his two GIANT Pike from Pritchard Lake in late August of 2013. Pritchard Lake, our newest outpost camp, had never been sport fished before we tried a couple exploratory trips to it in 2012. Fishermen were able to explore virgin waters in 2013 and did extremely well. The canvas wall tent camp is not exactly "roughin' it", with plywood floor, generator, electric fridge/freezer, oven/range, kitchen countertop/cabinets, etc. 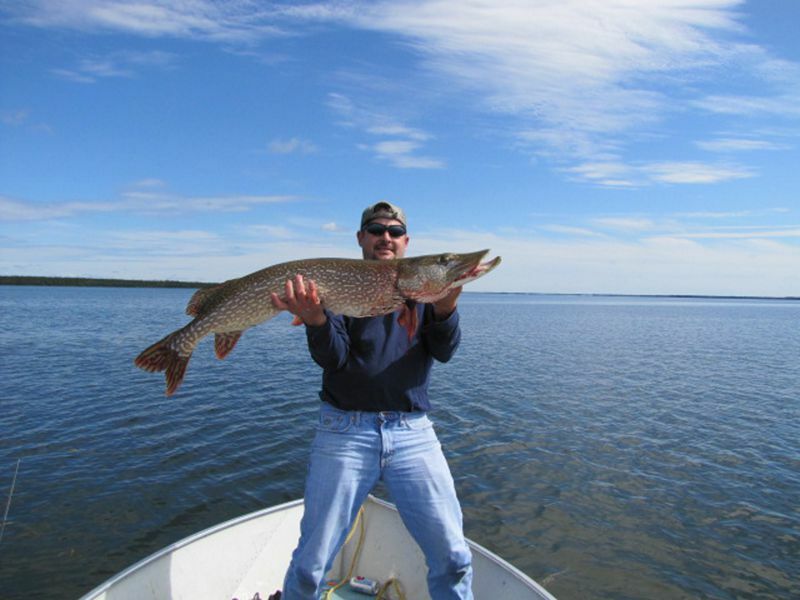 A lot of amenities, great fishing and all at a great rate - trips start at $1,500/person!! We still have available dates at this amazing new outpost camp lake in 2013 - CALL TODAY!! 1-800-521-1347. 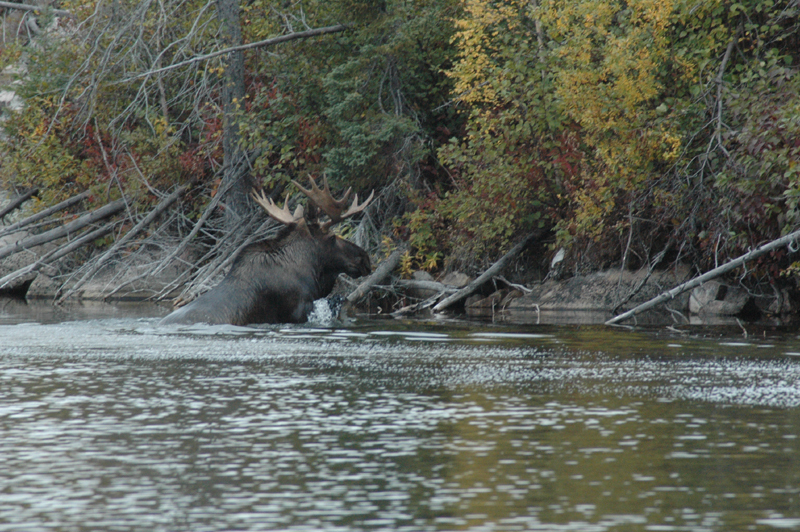 Our 2013 Moose hunting season was our best to date! Our hunters went 8 for 12, overall. The four hunters who did not tag a bull, had opportunities at nice bulls, but decided to pass. Steve Scheel tagged this bull during the first hunt at Pritchard Lake. This bull should receive a B&C Award after the drying period. It gross scored 199 B&C pts.! It has been a crazy year for weather in the Silsby area. Following a record late ice out, all of our lakes are at record low water levels due to the drought this summer. 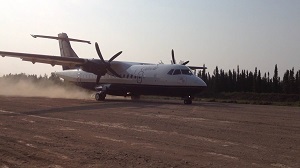 Despite this the fishing has been good and our guests are raving about the newly completed airstrip and direct flights from Winnipeg with our 40 passenger turbo prop jets. Sorry folks, I have been updating our Facebook and Twitter pages more often than our website. 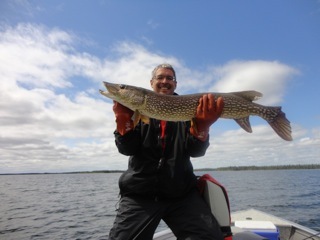 We have experienced incredible fishing on our lakes this season, the strangest weather patterns I have ever seen in the north and set some milestones at Silsby including the now fully operational runway and a new outpost on Pritchard Lake. We only have a couple of late season openings in 2013 and 2014 is already starting to fill up. Let's chat about fishing!!!! 1-800-521-1347. This massive Pike was caught by Dru Fisher on High Hill Lake - 48 1/2 inches!! 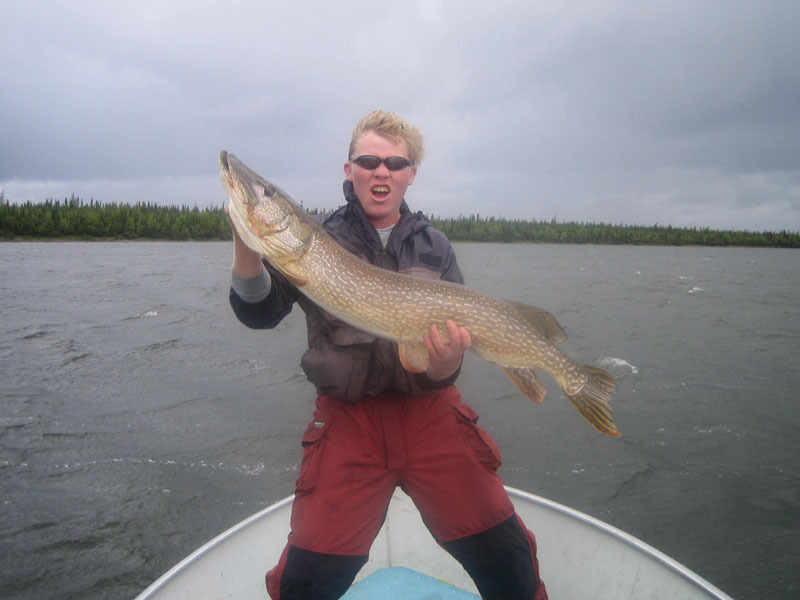 All four of our lakes have been producing some monster fish in 2013. JULY 13-18 - 1 cabin left! JULY 18-22 - 1 cabin left ! JULY 22-27 - 2 cabins left! AUGUST 14-19 - CANCELLATION - 1 cabin left! SEPTEMBER 2-7 - 1 cabin left! SEPTEMBER 7-11 - 1 cabin left! Hawg Time! 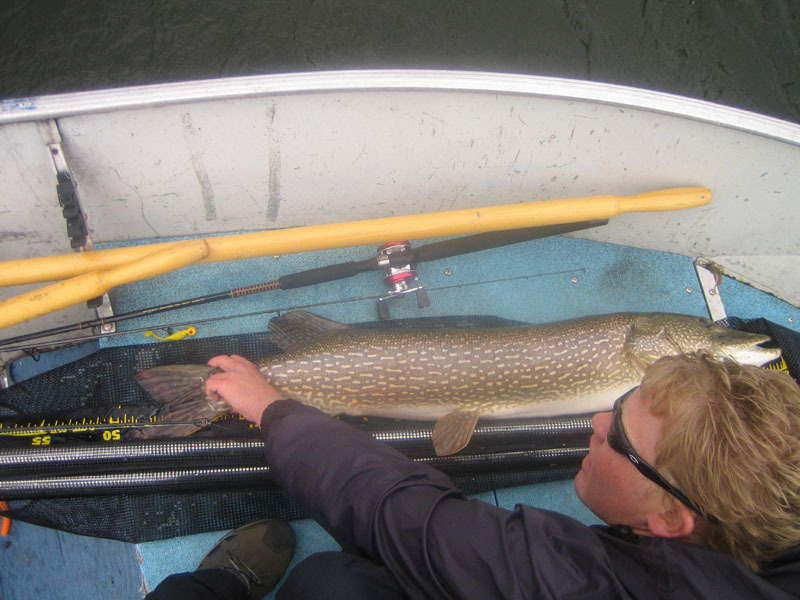 A 48"Pike was caught recently and yesterday Ria Plaizier of the Netherlands landed the biggest Pike of the season. 50 INCHES!! An enourmous head coupled with a good girth will put this incredible fish over the 40 lb mark. Ria with husband Ed Aremia. Hello Folks...I am trying to catch up with all the photos, testimonials and updates. There are a lot more to post in the coming days. 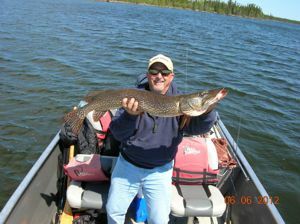 High Hill and Cuddle Lake Outpost Camps are way ahead in the Master Angler Northerns in 2012. We have had an incredible amount of interest in 2013 trips - All three camps are filling fast. Call soon if you want to reserve a 2013 date! Joe Dickerson and family made their annual fishing trip to Silsby and the Outpost Camps and caught a pile of trophies at Silsby. Jim Dickerson, right, with one of his Master Anglers. 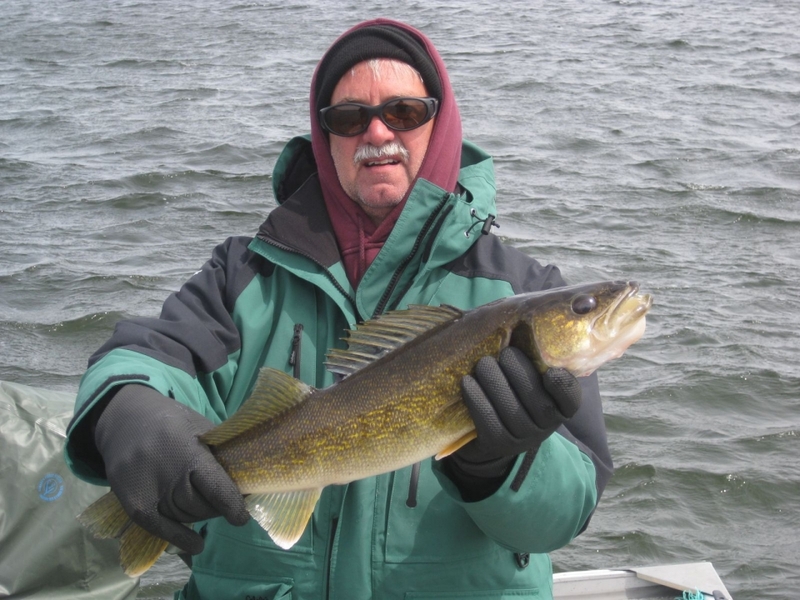 Joe Dickerson Jr., below right, with a bruiser of a Walleye from Silsby Lake. The 2012 season is underway and Man-Oh Man...what a beginning. The fish so far this season can only be described as "Healthy"! 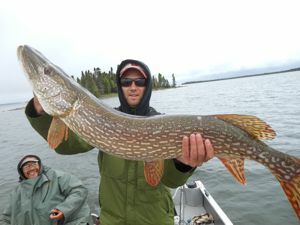 All the trophy Pike have had massive girths and the plentiful Walleye (averaging over 22 inches) have looked like "Footballs"! Brandon Scheel was one of the first guests into Silsby this spring and caught this monster. 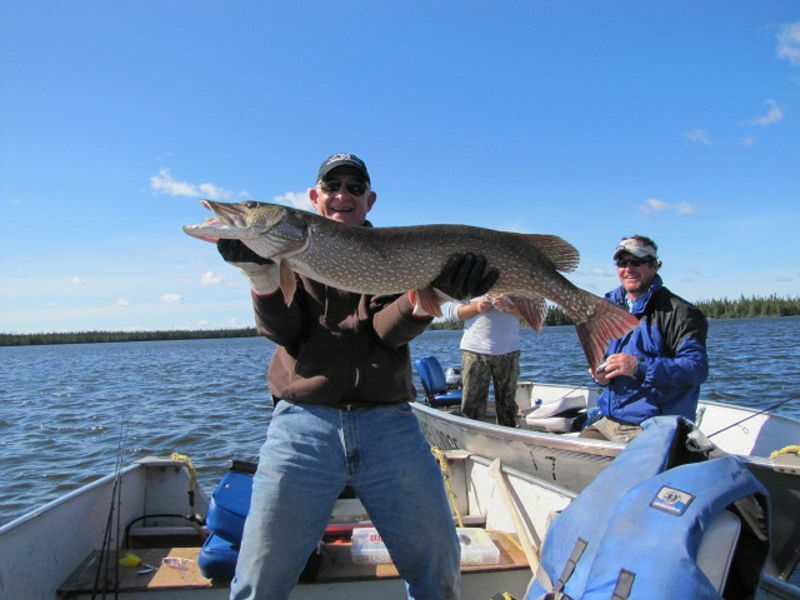 Guests at Silsby Lake Lodge & Outpost Camps are 50% ahead of last year's pace for number of trophy Northern Pike. Our deepest sympathies go out to the Thompson family after hearing of the loss of Mickey Thompson. Kip and Mickey Thompson founded Silsby Lake Lodge and owned it for 20 years. Their legacey of conservation continues today. Troy Spies with massive 45 inch trophy from High Hill Lake at the end of August. 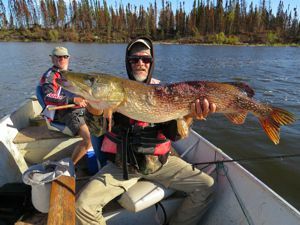 His family took an adventure down the river to Whitley Lake where his father caught this 44 inch Northern (below-right). Here are some pictures of a very exciting wilderness excursion. Absolutely loved the remote adventure. Great weather, northern lights, bar, boats, food and plane rides. It just doesn't get any better. We were with the Jim McAfee group, which included two of my sons. Happy Holidays from the Fett Family! Jim Cheunes with his Cuddle Lake Master! 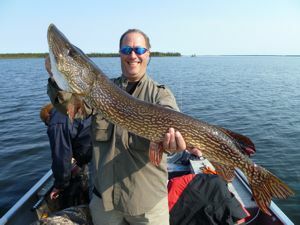 Silsby Lake dominated Travel Manitoba's 2011 record book for Master Angler Northern Pike. No other lake was even close! In fact, the nearest lake had 100 fewer Master Anglers. 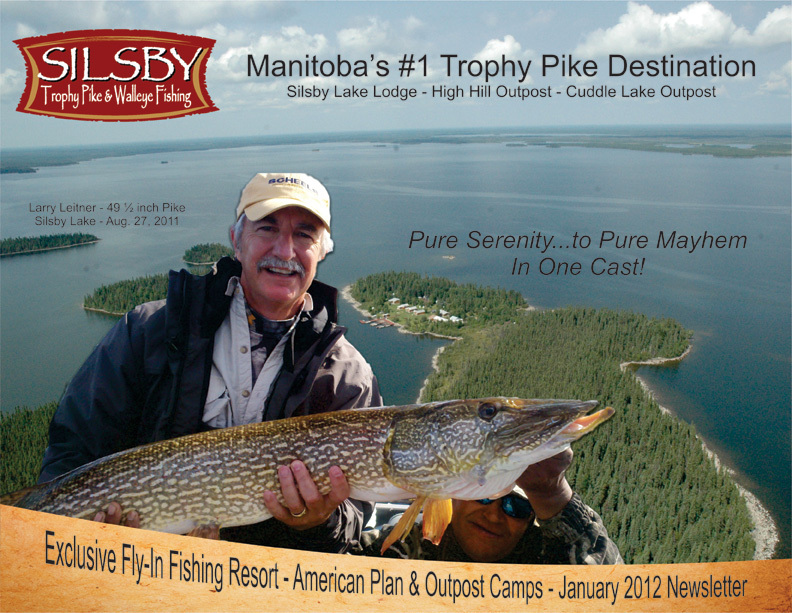 Silsby, High Hill and Cuddle lakes produced over 400 Master Angler Northern in 2011 making us the top destination for trophy Pike in all of Manitoba. This number is sure to go higher in 2012 as we have added Pritchard Lake (a short walk to the west of Cuddle) and will be exploring other lakes, as well. Whitley Lake (down river from High Hill) looks to have great habitat and already produced a 44 inch Northern with only a couple of boats on it in 2011. We also have two other lakes (Diana and Three Sisters) that look to have great potential in the future. Call our toll free number - 1-800-521-1347 - to discuss these new fishing opportunities! Our January 2012 brochure is due to be sent out in the first few days of January...click the image below to see the digital version. We took an exploratory trip to Whitley Lake this fall from High Hill. It was quite an adventure in beautiful country. The High Hill River flows very rapidly as it traverses it's way through the bush to Whitley Lake. 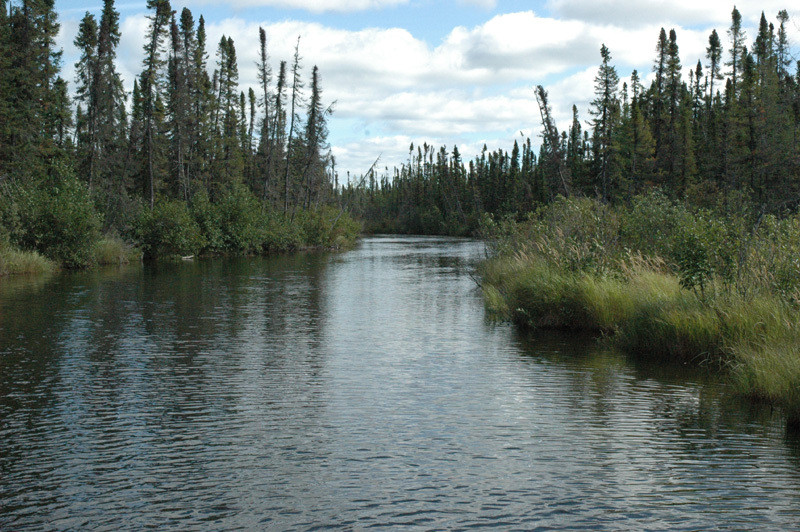 It is a narrow river (30 ft. at the widest) with a channel down the center and crystal clear water. You can see the river bed all the way across the river and well in front of the boat making for great viewing as you are motoring down the river. There is a set of white water rapids that is navigable making for a great adventure. 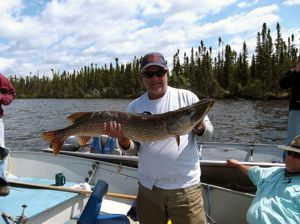 Guest photos are still rolling in and available openings in 2012 are filling fast. The Butler/Balken family group caught a pile of trophy Northern at Silsby in the third week of July. 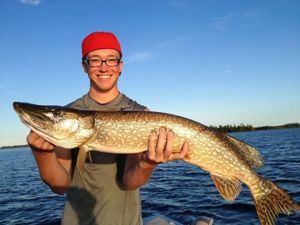 Mason Thimjon topped all with a massive 45 inch Pike. "Our first annual trip to Silsby Lake Lodge was a smashing success! Our family fishing trip is "the trip" that we continue to talk about year round in our family. It was created by a mutual love of the outdoors, the thrill of the catch and most importantly, quality family time together. 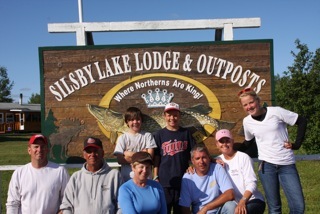 Silsby Lake Lodge proved to be all of that and SO much more for our family trip this year. Our guides were amazing. Their profound love of their jobs were evident in the superior knowledge and dedication they showed in providing us with an awesome fishing experience. 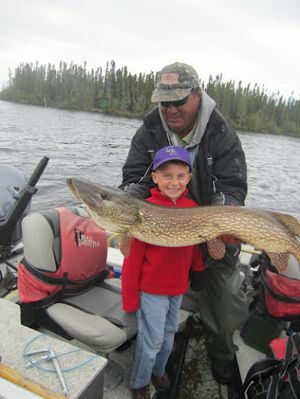 I don't know who was more excited when Mason (11) caught his 45 inch pike this year. Grandpa, Mason or our guide, Lennart! These memories will stay with us forever....Thank you Sam and Stacey and your wonderful staff for a wonderful 2011 trip. The countdown is on until we see you all again!" 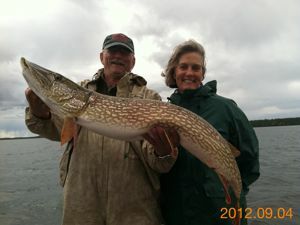 Heather Butler (right) with one of her Master Angler Pike caught during their trip in July. Matthew Balken (right) with a trophy from Silsby Lake. Matthew also took the trophy for champion fishermen during their family competition at Silsby. Dan Butler (right) with one of his multiple trophies caug ht on Silsby. 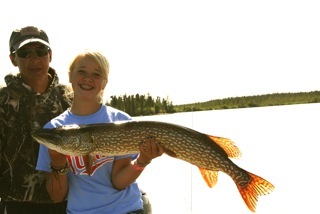 Peyton Thimjon (right) with one of her two Master Angler Pike while on their family trip to Silsby in the third week in July. Well, the season at Silsby has officially ended and Man-Oh-Man...what a season! 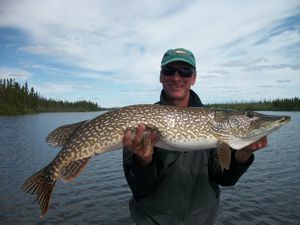 The fishing was off the charts with 400 Master Angler Pike caught by our guests at Silsby, High Hill and Cuddle. 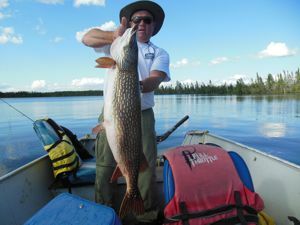 This will dominate the Manitoba Master Angler record book due out in January of 2012. I just returned after closing the camp. 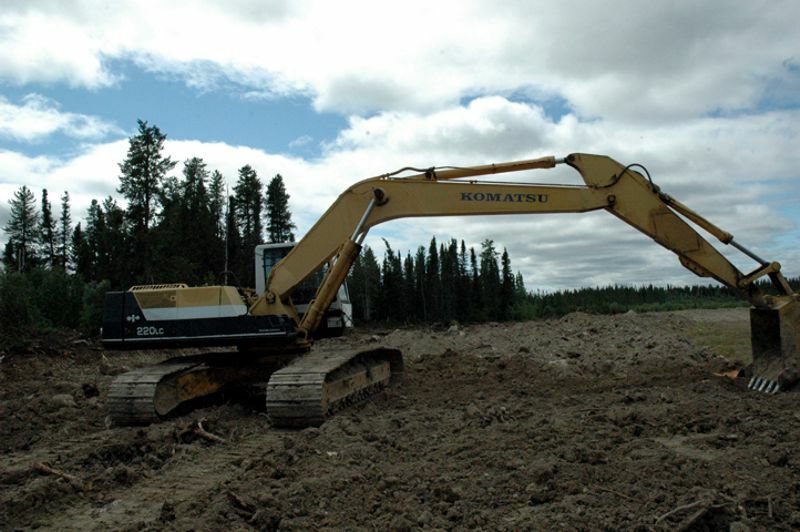 I still have operators at Silsby working on the airstrip and they will continue to work as long as the weather will allow. 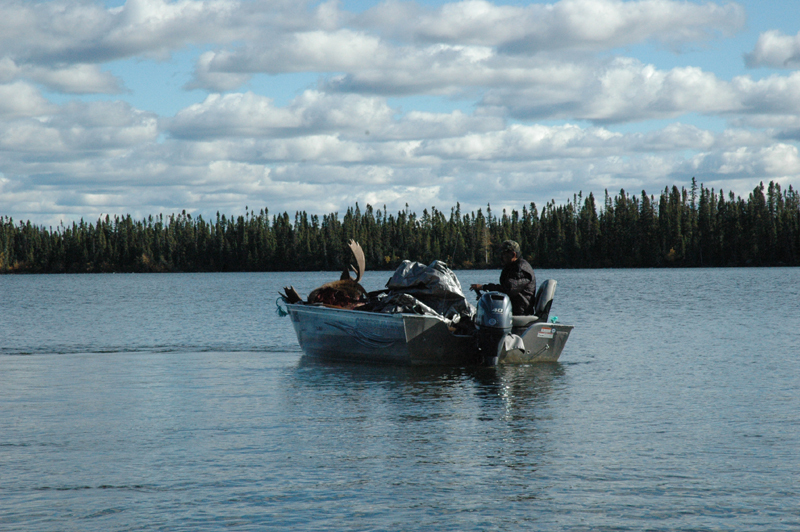 Here are some photos from our two weeks of Moose hunting and late season fishing. Laddie Lucke (right) with 49 inch "Hawg" from High Hill Lake in the last week of August. The first week and and a half of the Moose season we were 50 degrees above normal temperatures for late September. Besides the 70 degree temps the wind blew almost everyday. The two combined made for tough hunting conditions. Our hunters still managed to bag four bulls...two from Silsby Lake and two from Cuddle Lake. 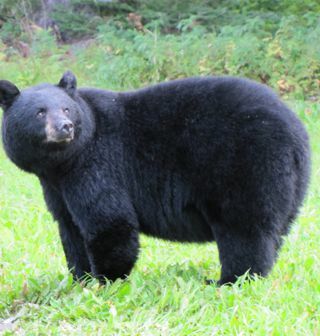 Another big bull at Cuddle escaped due to a muzzle loader misfire. This lucky bull charged the boat after being called out of the bush. A charging 1500 lb. 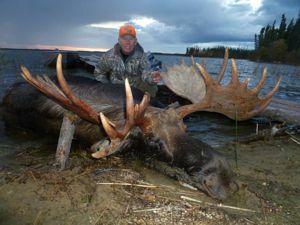 bull Moose will sure get your blood pumping. 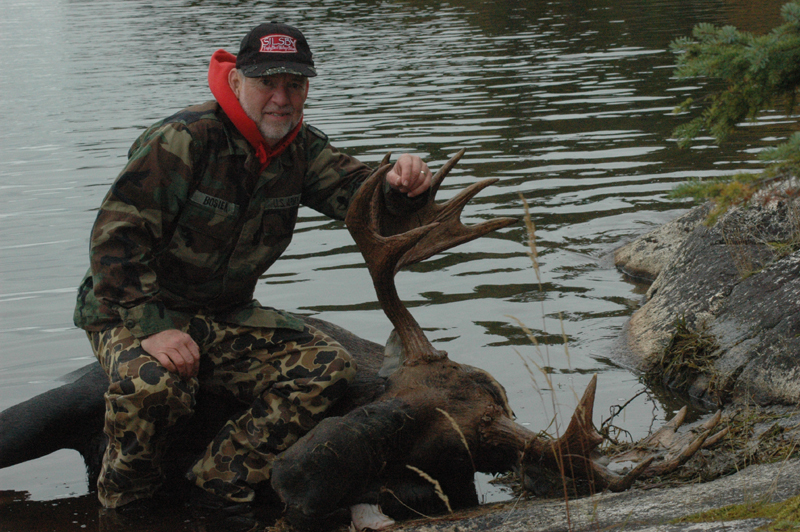 Jim Bosier (right) with his bull shot on Silsby Lake. Calm mornings and evenings are spent calling for bulls, while the rest of the day is spent fishing for giant Pike and Walleye. This makes for great combo trip - fishing and hunting in the same day...how can you beat it? Gary Miller's (right) bull was called out to shore at close range. After killing his bull they could hear other bulls grunting and thrashing the bush not far away. The size of these 1500 lb. animals is amazing to see. The meat and antlers from Gary's bull completely filled one of our new 18 ft. boats. 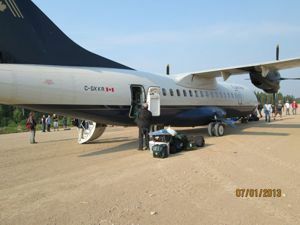 9/12/11 - I just returned home for a short break before our first Moose hunters arrive on Sept. 18th. 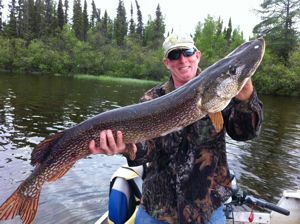 Late August and early September continued to produce monster trophy Pike. 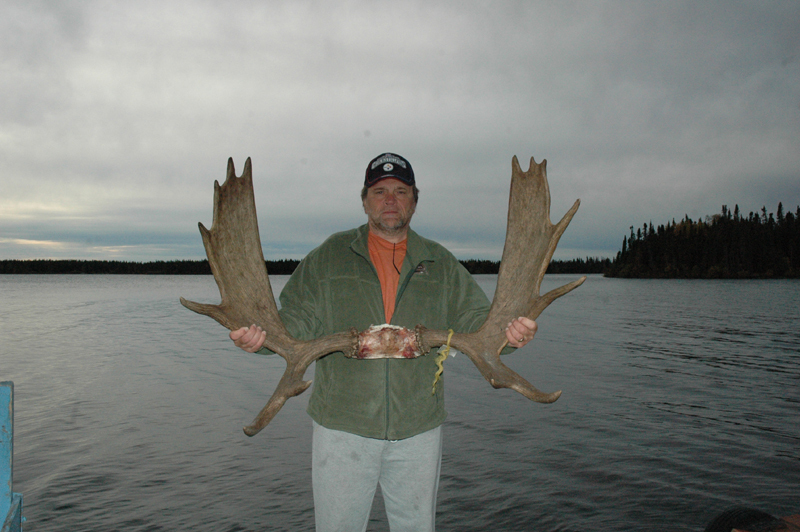 Below is Larry Leitner with his 49 1/2 inch trophy from Silsby on the last day of August. A couple of other 48 inch monsters were caught, as well, in the following week. 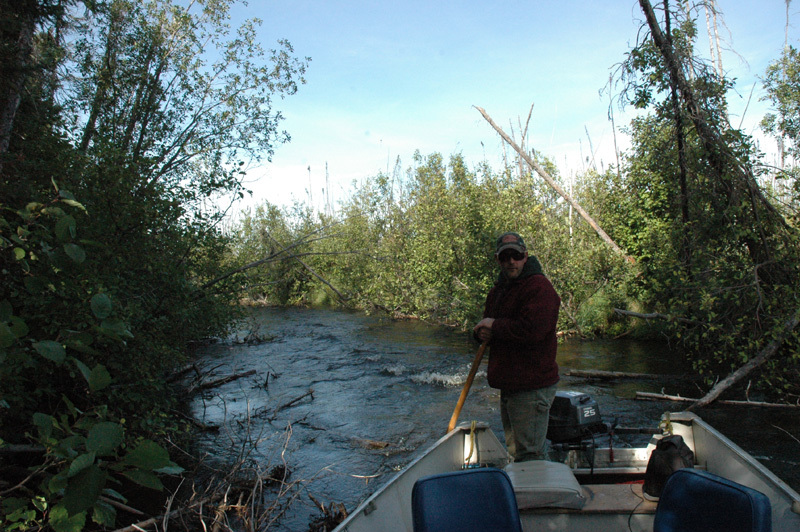 This is a great time of year to fish with zero mosquitos or black flies and mild temperatures during the days. 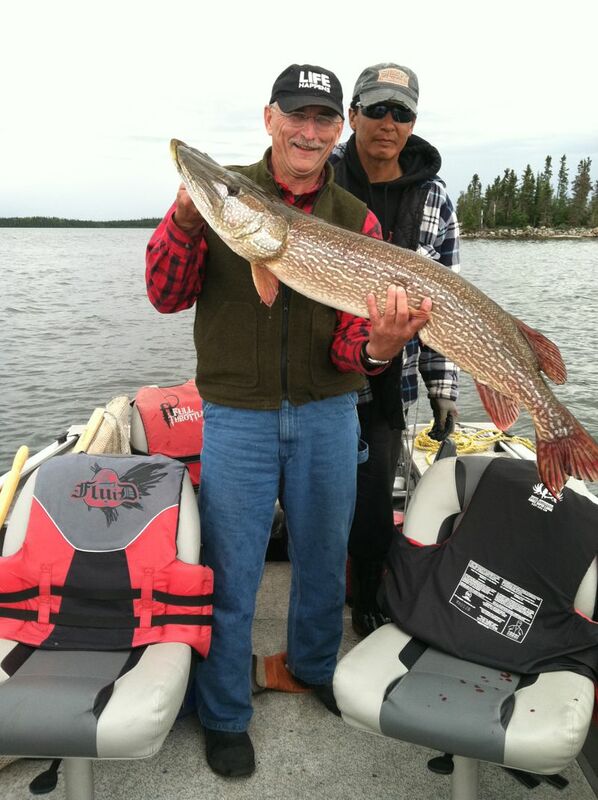 Greg Butler's (right) 48 inch Northern coming to the boat in the last few days of August. 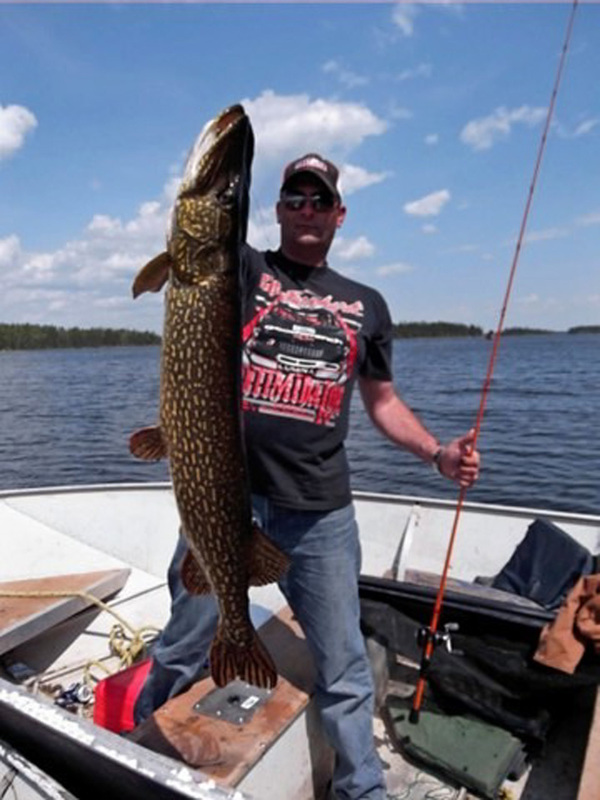 August fishing has been on fire for monster Northern Pike. Our August guests have landed the biggest fish of the season with September ahead of us. 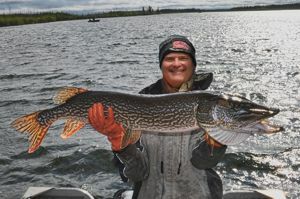 Laddie Lucke landed a 49 inch trophy Northern Pike from High Hill Lake, and just yesterday, Larry Leitner landed a 49 1/2 inch monster on Silsby. 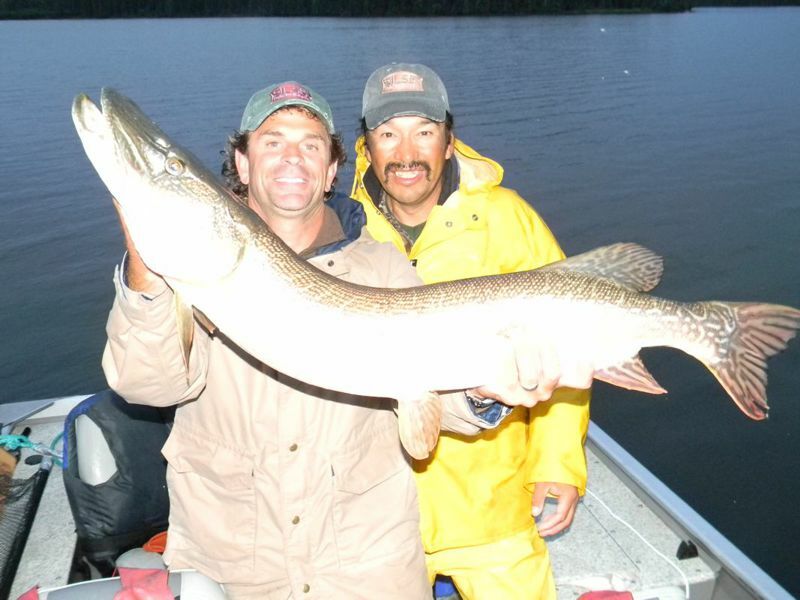 Greg Butler (right) with 48 inch monster caught on Silsby Lake in the last few days in August. 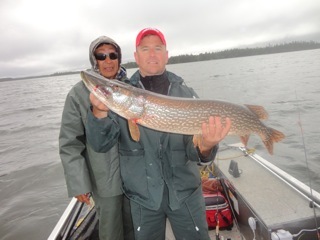 Mark Nyquist (right) with 46 inch Northern during the third week in August. 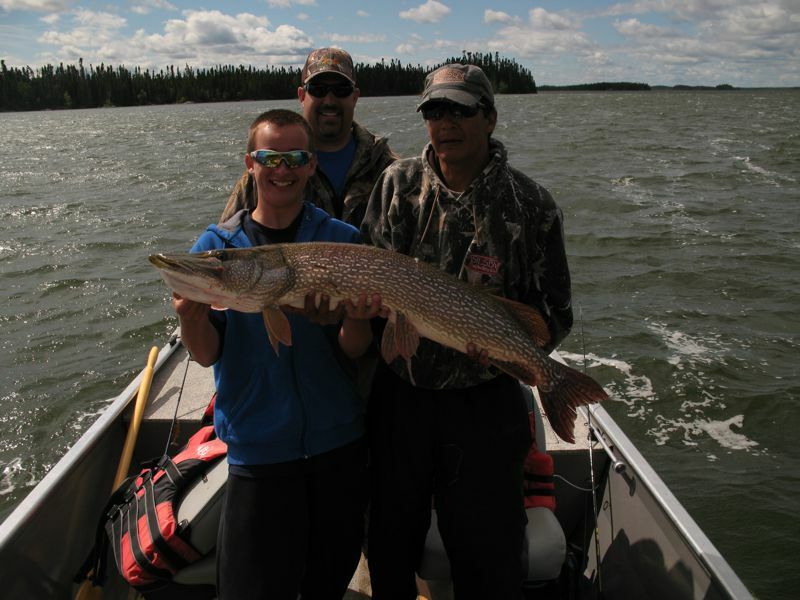 Ben Jacobsen (right) with 47 inch trophy from Silsby Lake in early August. 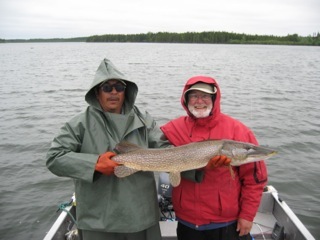 E. Dennis Zahrbock (right) with 46 inch Northern on Silsby Lake during the third week in August. Besides some mechanical breakdowns the airstrip renovation is coming along, well. 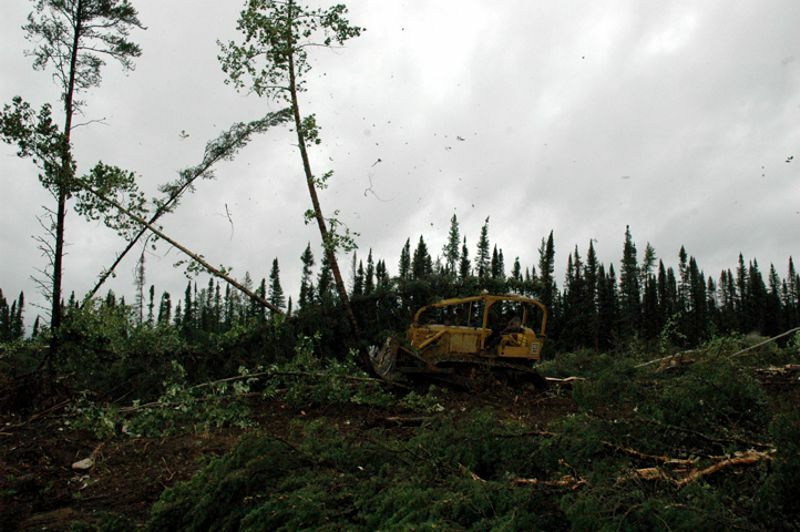 We have now cleared all of the trees along the north & south sides of the airstrip and both the east & west ends to lengthen the runway to the final length of 4000 ft. We will continue to work on the airstrip until freeze up and then continue into the winter months after the lakes are frozen over.